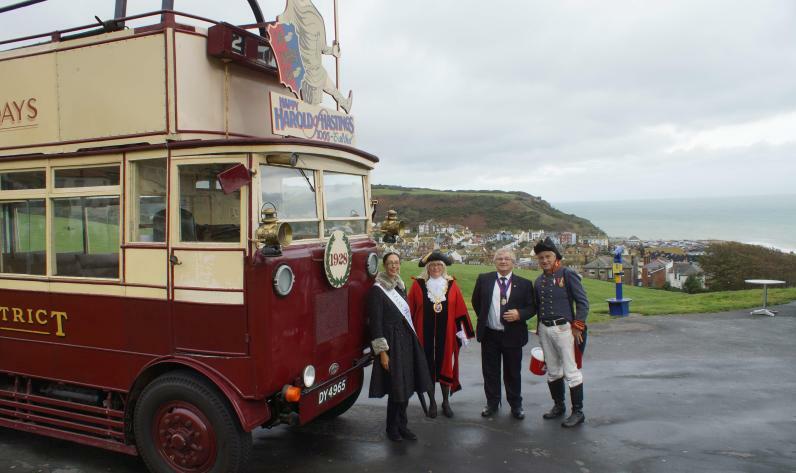 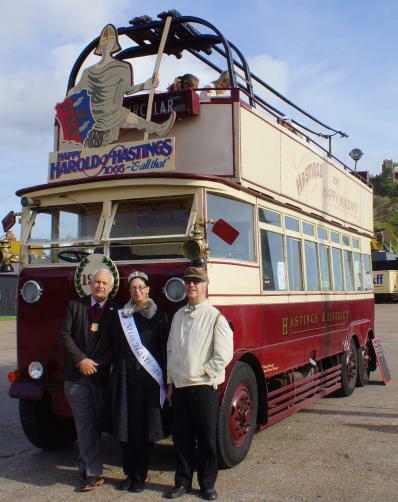 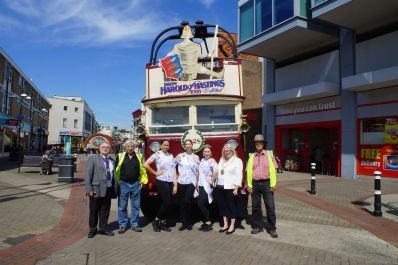 Right Thursday 12th October, Happy Harold with Hastings Week Chair, Nigel Hogben (left) Carnival Queen and Happy Harold's second Driver, William waiting to run around the town. 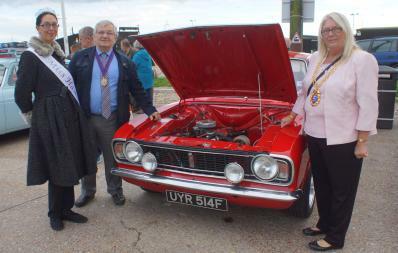 Bel,ow, second day of the Classic Car Show and our Carnival Queen helps Maoy and Deputy to judge the entrants. 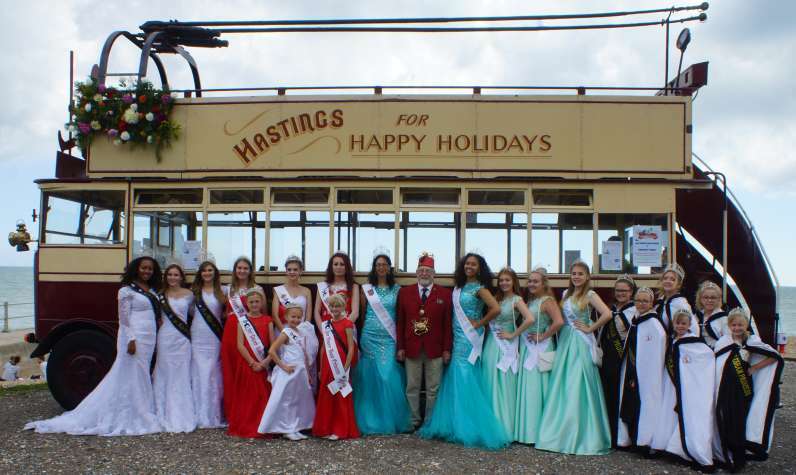 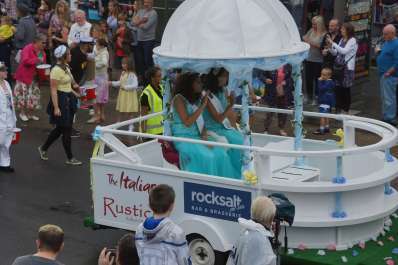 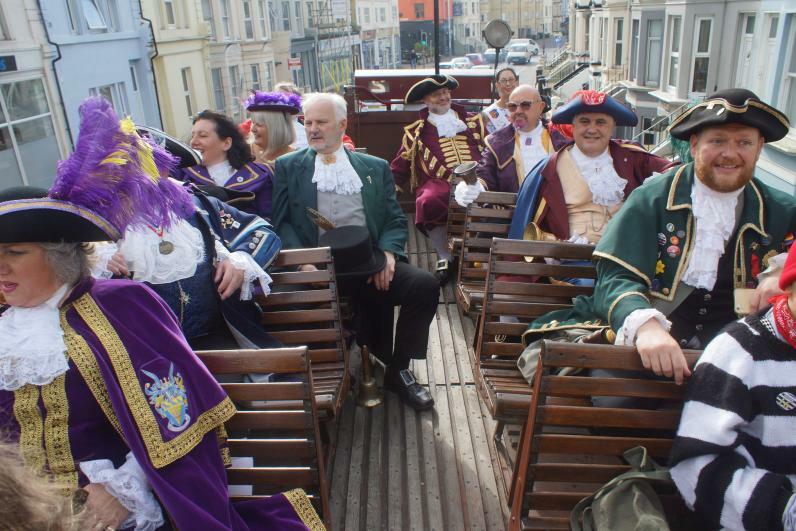 At the reception for the visiting courts and below, Hastings Old Town Carnival Court in their borrowed float. 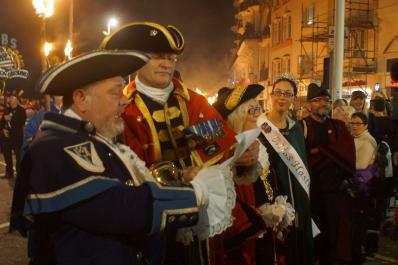 Hastings Old Town Carnival Week. 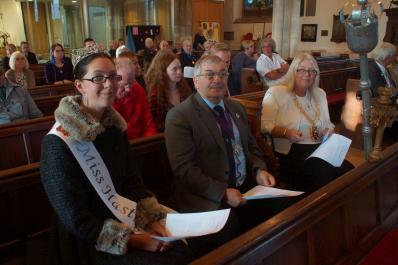 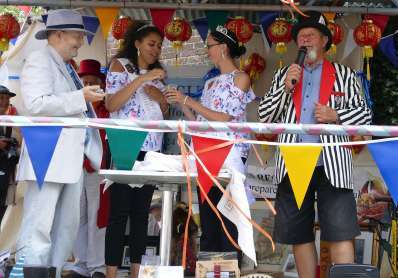 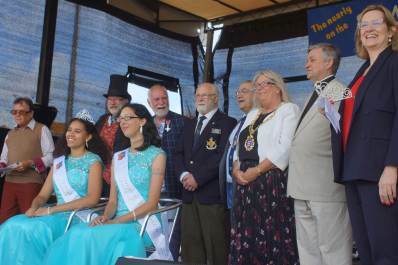 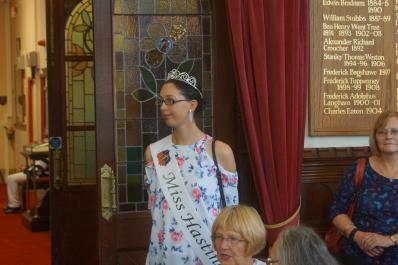 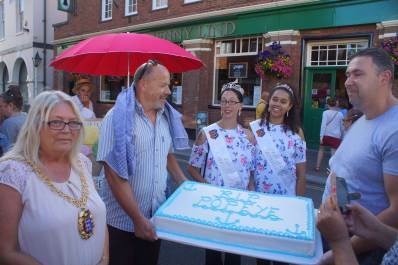 From left, Nick Lynas,- Carnival Chair, Richard Stevens - Carnival Vice President, Elizabeth Fowler - Hastings Old Town Carnival Queen, Deputy Mayor Cllr. 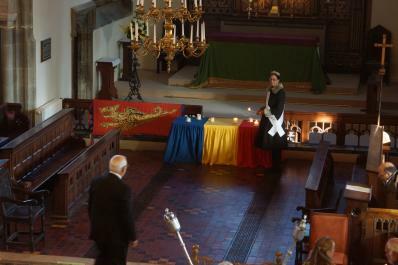 Nigel Sinden, Fr. 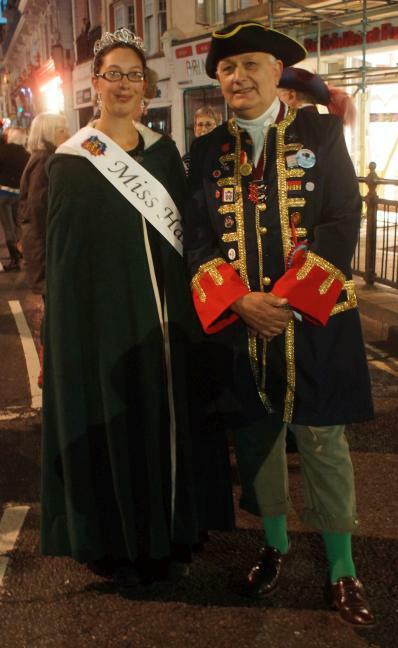 Ron Partridge - Old Town Chaplain, Mayor Cllr. 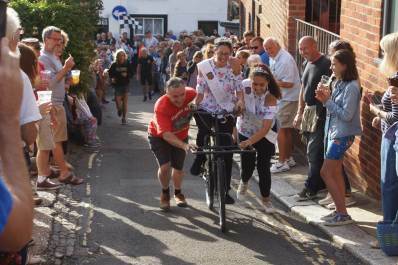 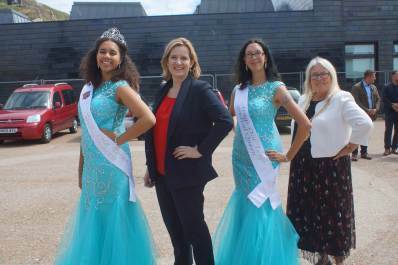 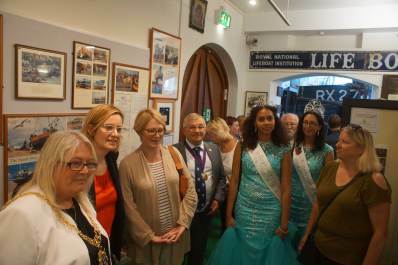 Judy Rogers, Amber Rudd - Home secretary & Hastings' MP, Frankie Stewart - Hastings Old Town Carnival Princess, Bill Wicking, Hastings Old Town President. 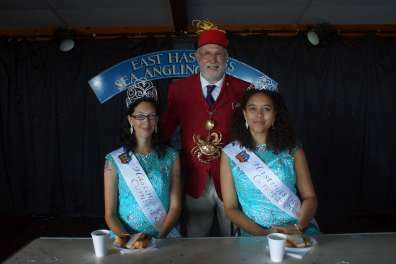 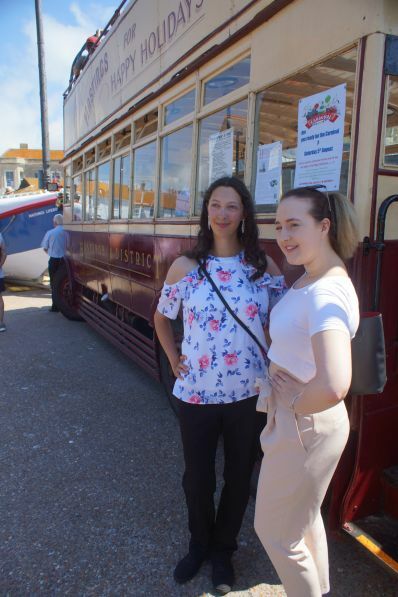 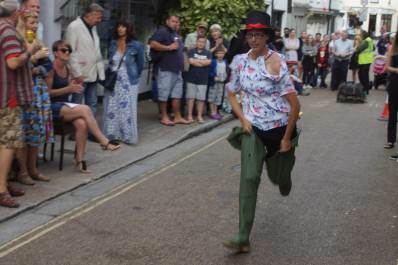 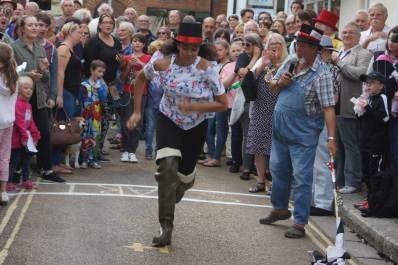 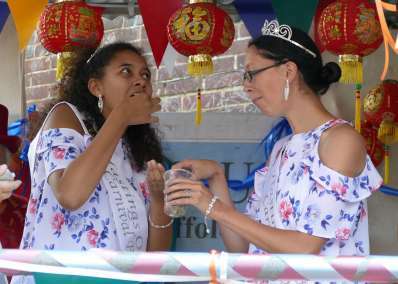 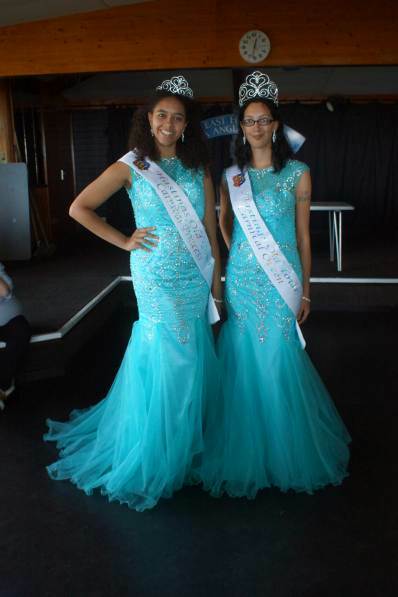 August 3rd Elizabeth and Frankie take part in the great Whelk Eating Competition! 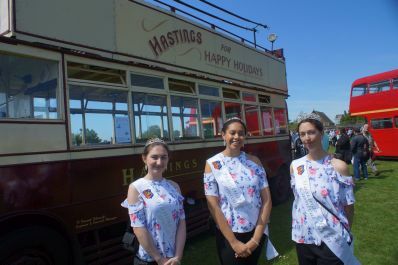 - eat a pint of Hastings whelks against the clock! 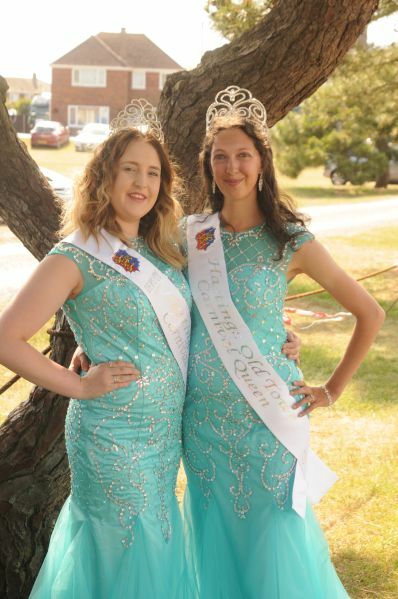 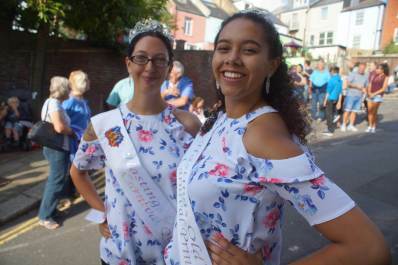 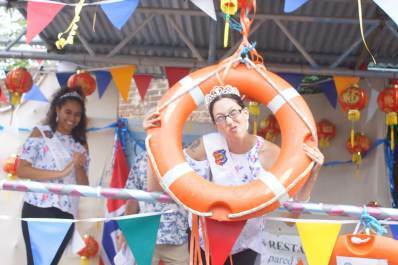 In the morning carnival Queen Elizabeth Fowler supports the move of the Cyril & Lilian Bishop and in the afternoon Lydd Club Day Carnival with Hannah Burgess as princess.